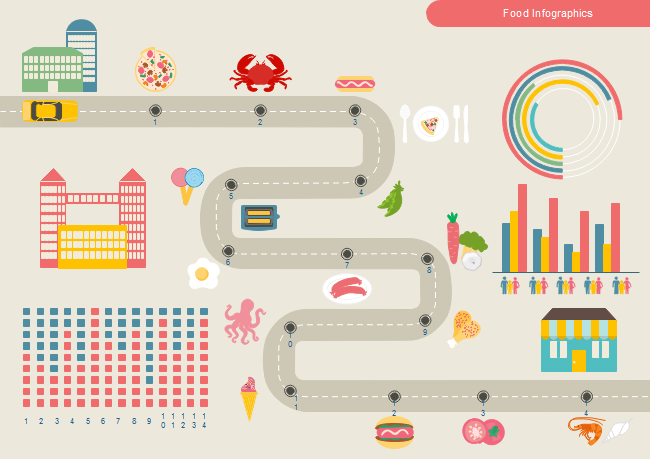 Simple but effective guide on how to design food infographics within several mouse clicks. 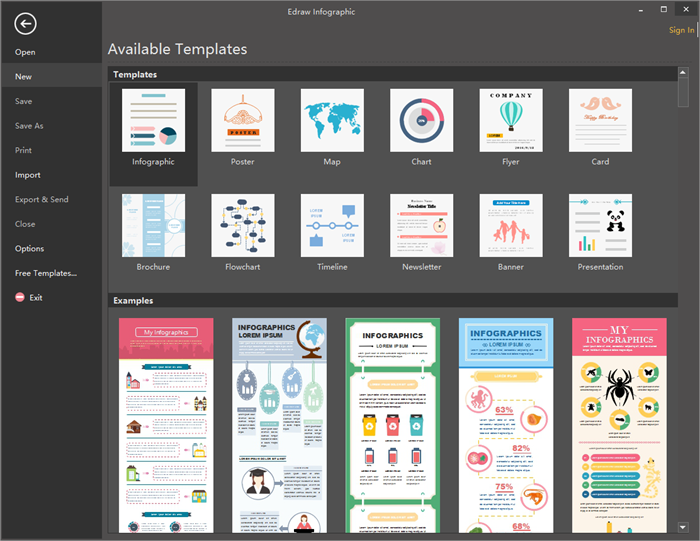 To design food infographics easier and quicker, it’s time to choose a time-saving and energy-saving infographic software - Edraw infographic maker, which enables users to be almost hands-free for its handy features. 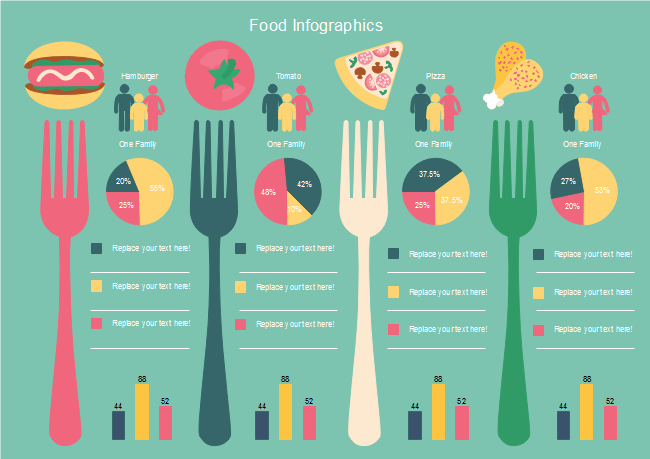 Following are detailed steps to create food infographics. Step1. Start Edraw infographic software, navigate to File menu, click New>Infographic to open a blank food infographics drawing page. Step 2. 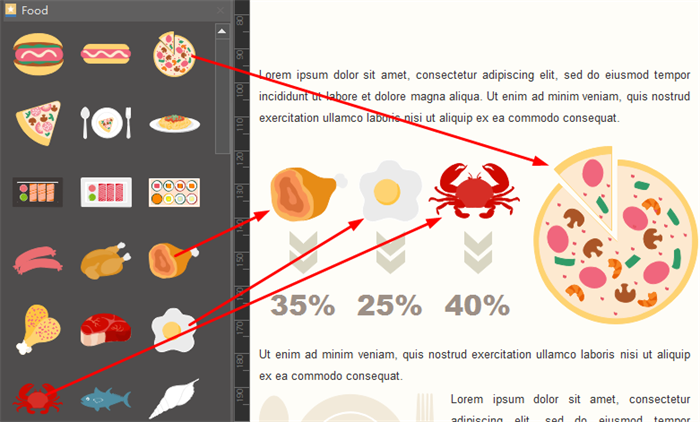 Drag food symbols from left libraries and drop on the drawing page. Just edit the symbols if necessary, such as changing the color, dimensions and directions to fit the situation. Step 4. 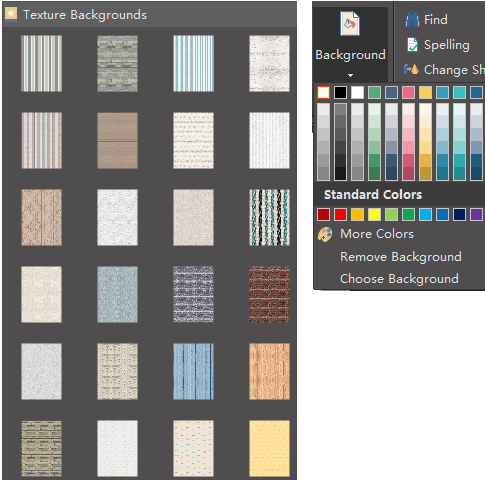 Navigate to left libraries again and select a texture background or just click background under Home page to choose a single color background. Step 5. 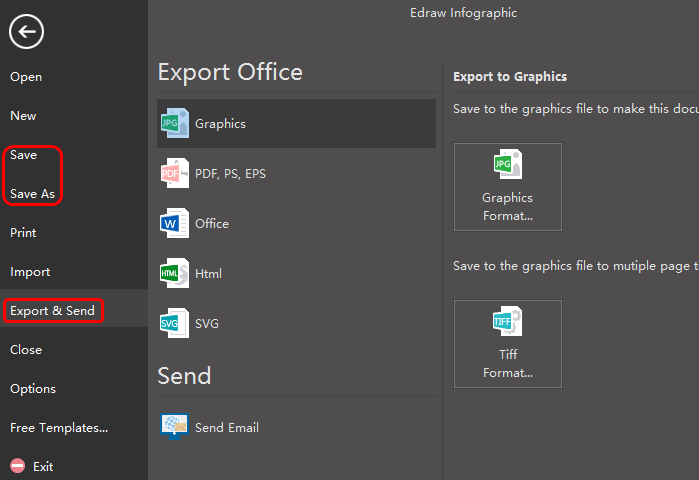 Users can click Save on File tab to save the food infographics as the default .eddx format; or if want to share them more conveniently, users can also choose Export & Send to under File menu to export the infographics to any formats such as Word, Excel, PDF, PPT, or Visio. 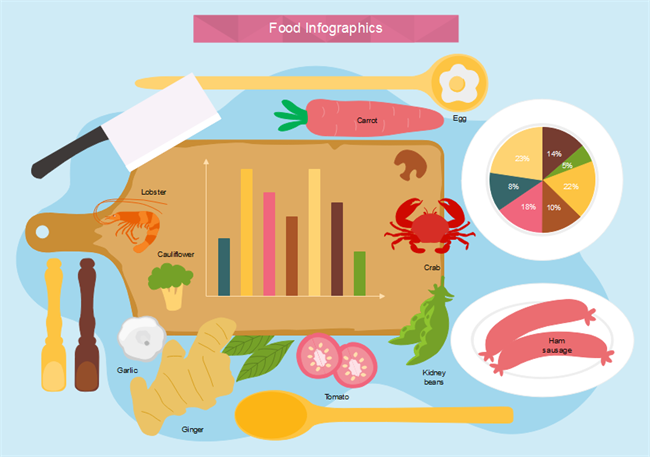 Here provides several examples of food infographics created by Edraw infographic software for your reference, all the examples are free to download, edit, print and share!